You may think that creative writing is just another course that you will cover and forget about unless you need to produce some kind of short story or catchy email. But this is a misconception – creative writing impacts different aspects of life, and here is a sample essay that elaborates on them in detail. Some students study creative writing as a separate course being a part of another specialty while others major in it with hope to become great writers someday. 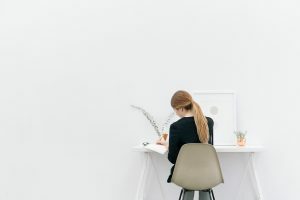 Many employers claim that the skills gained during taking classes in this field are very useful for marketing, editing, education, copywriting, and many other domains. This happens not only because one can create an attractive piece of text that might grab the reader’s attention – creative writing invokes and nourishes the creativity itself which is so important nowadays in many professions. But, besides the career part, this acquired ability influences other numerous aspects of our life which are no less important than a job. Primarily, creative writing boosts the language. In fact, it enhances all the elements of speech: vocabulary, discourse, grammar, and even pronunciation. The thing is that students have to be drawn into the word usage and combination on a completely another level – on a much deeper one than a usual conversation or texting requires. This happens because they must produce a text manipulating the language and challenging themselves to find new interesting ways to transform it in order to express their opinions and views. Thus, it can be compared with killing two birds with one stone – by practicing creative writing, people improve the language skills and learn how to eloquently speak up. In addition to these acquired benefits, this activity can also impact physical and mental health. It is scientifically proven that expressive writing reduces stress and depression. Consequently, the mood and overall well-being improve as well and influence the organism physically: the blood pressure goes down, immune system receives a boost, and the state of lungs and liver discernibly improves. Students, in particular, are less likely to skip classes and better develop the memory. Along with the health perks, we have mentioned above that creative writing is much appreciated in the professional sphere. People can provide themselves with additional side jobs and earn some extra cash, or try themselves out in freelancing. It is especially topical for students – with creative writing skills it is possible to work as a creative writer (obviously), copywriter, ad creator, technical writer, blog writer, etc. In fact, the possibilities are numerous, it’s just necessary to produce several sample texts and look for clients on different freelance platforms like Upwork.com or Fiverr.com. All in all, creative writing accounts for loads of benefits connected with health, general lifestyle, and career. It cultivates different skills, knowledge, and experience that help to get noticed and stand out from the crowd. So, it must be definitely trained and integrated into the routine for at least some time in order to get the most out of this activity.